My brother Jimmy will be walking in the Out of the Darkness (in Raleigh County West Virginia Walk) with his group (Freaks and Geeks Cosplay) o fight suicide and support the American Foundation for Suicide Prevention’s bold goal to reduce the suicide rate 20% by 2025. 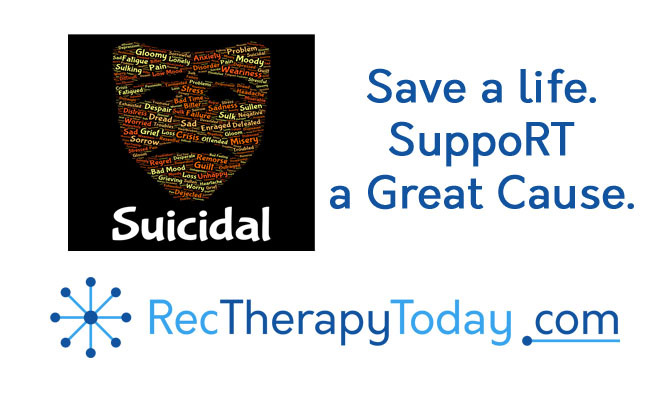 Many recreational therapists provide services for people with mental health needs. I felt certain you’d be interested in the AFSP’s goal. I’m asking for you to chip in $5 to help support this cause. Click here to make a pledge at the AFSP site.